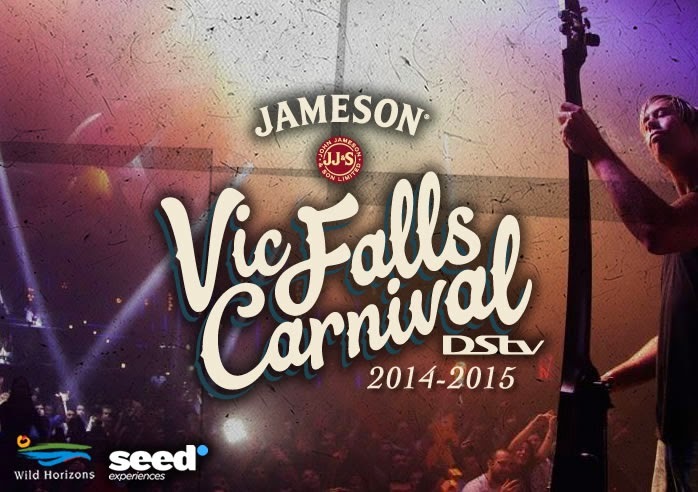 Wild Horizons is pleased to report that the Jameson Vic Falls Carnival, with Wild Horizons as the official activity partner, brought in 2015 with a bang, attracting thousands of tourists to the town for the 3 day festival. 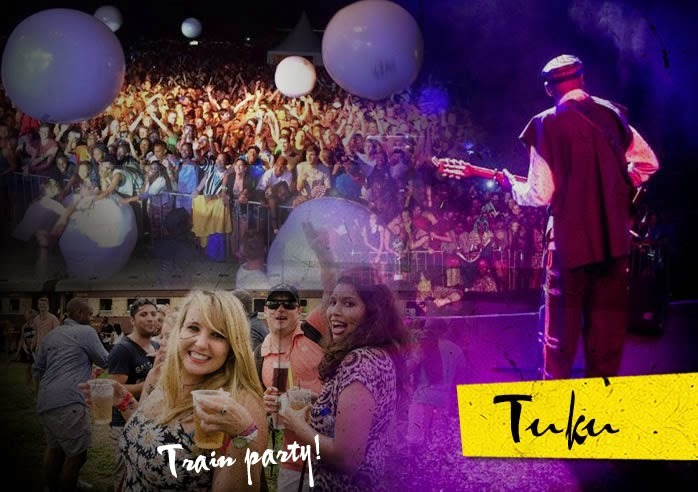 The festivities commenced on December 29th 2014, with the departure of the long-sold-out party-train journey to a secret bush location, where Capetonian ‘Toby2Shoes’, rocked the stage for the 500+ lucky ticket holders. 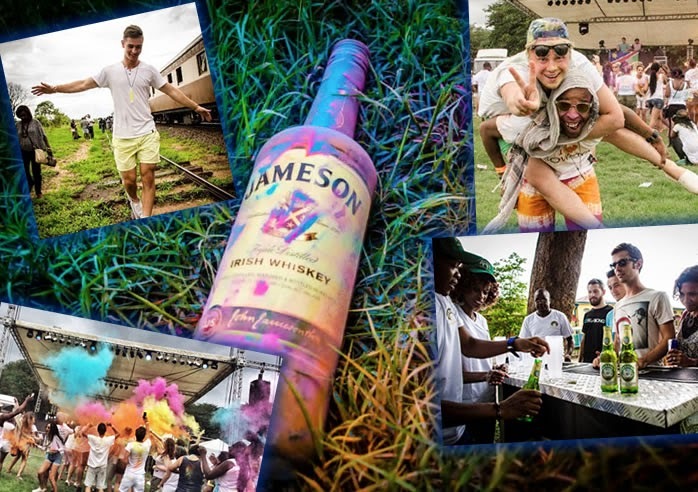 The second day of the festival was themed around the world-famous ‘Holi One Colour Festival’. 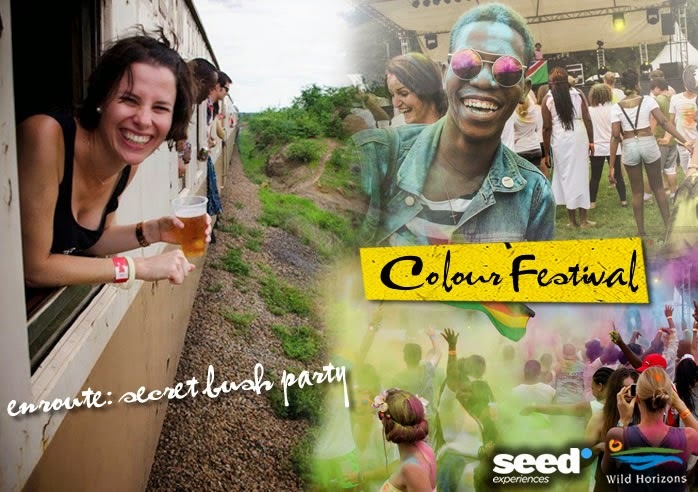 Festival-goers sport bags of multi-coloured powder paint to throw up into the air above the crowds at regular timed countdowns, creating a stunning eruption of multi-coloured haze above the jubilant crowd, which is a sight to behold! 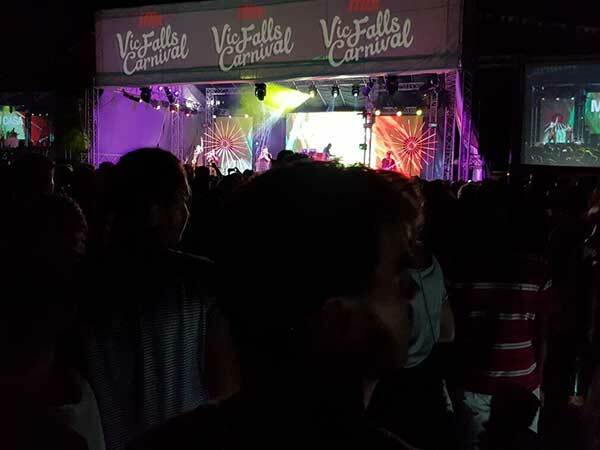 Local and International DJ’s, including Harare’s Rob Macson, kept the crowds bouncing throughout the afternoon and into the early evening, which led on to a host of various official after-parties at renowned locations in Victoria Falls town. The final day of the festival was held on New Year’s Eve. 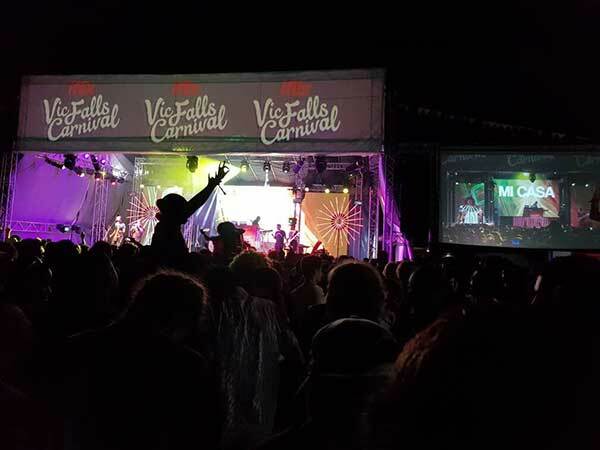 The 5000+ crowd was undeterred by showers of warm rain as it glittered above the crowd in the foreground of an impressive lighting setup, which created a sublime electric atmosphere on a scale never before seen in Victoria Falls! 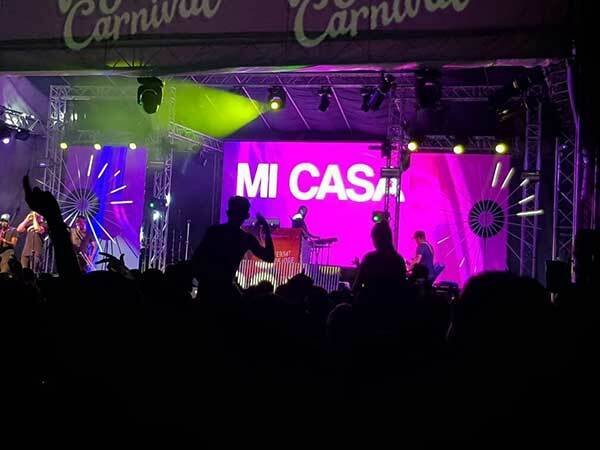 Long-time Zimbabwean folk legend, Oliver ‘Tuku’ Mtukudzi, attracted thousands of followers to the Carnival to witness his truly original Zimbabwean sound. Oliver, at 62 years of age, had the entire crowd in the palm of his hand as fans sang along to every word of his set of well-known local hits. The festival headliners ‘Goldfish’, the vibrant band-come-DJ duo from Cape Town, brought in the New Year with their unique and classic sound of vintage fusion with modern electro beats. All had a fantastically unforgettable time, and we look forward to watching this Festival continue to grow from strength to strength in the years to come!